I owe some people an apology. Unfortunately, I am fairly certain that none, or at least very few, of those people will ever see this post and there is no way for me to reach out to them personally. Nevertheless, in the hope that one day they might read this, and in the further hope that this post might convict and encourage someone else, I am compelled to write and share it. There was a time many, many years ago when God graciously opened my eyes to an abundance of truths. I suddenly came to discover that books I had read and praised, teachers I had promoted, and ministries I had endorsed, particularly when I was still living as a deceived false convert, were in fact enemies to the truth. These teachers and ministries were twisting God's Word for their own agenda and I had blindly been duped by their lies. Many others have a similar story, I think, and praise God for His patience and forgiveness as we grow and mature in our faith! Still, there are consequences to our sin. When I discovered these truths, and my errors, I was simultaneously horrified and grateful. Grateful that the Lord had revealed His Word to me in a more sound and comprehensive way, but horrified that I had been fooled for so long! Again, praise God for His goodness! I quickly became a caged discernment hound, zealous to point people away from these false teachers and toward the truth of Christ. Of course, this was a good thing; however, the way in which I executed my newfound passion for truth was not always so favorable. Being quick witted and sarcastic by nature, my default method of refuting this error was with biting wit. And while this may not be sinful in itself, it was not always prudent or useful. In fact, I daresay that my approach to discernment and sharing truth turned many people away. May God forgive me for this! Some of those refutations came in the form of blog posts. Other times I dismantled bad theology or endorsements of false teachers on the Facebook pages of friends or in emails. I did not know any better; I only knew that I wanted people to run away from men and women such as Rick Warren, Rob Bell, or Beth Moore. I was too impassioned to see that I was instead turning people away from the truth I was sharing. "I am only zealous for the truth of God's Word and man's faithfulness to it!" was my honest justification for such behavior. Still, zeal does not equal discernment. 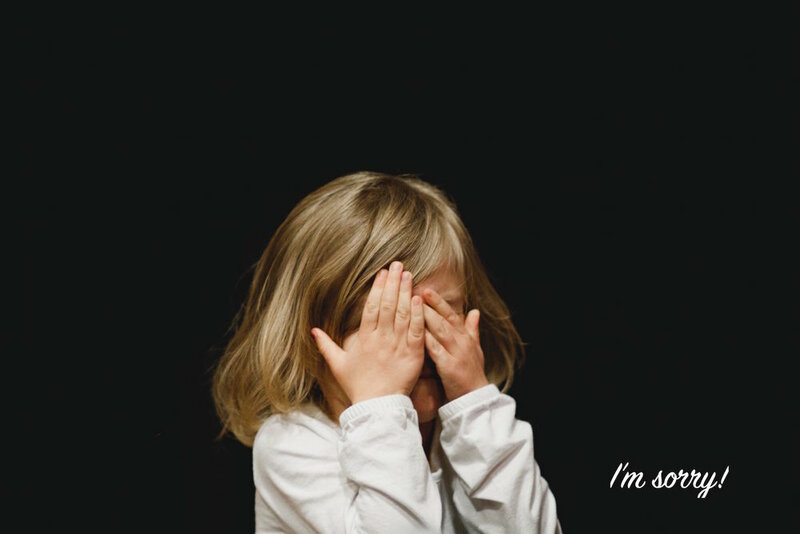 So while I may have been blessed with a discerning eye and ear to identify error, I greatly lacked discernment in how best to communicate the truth. God nevertheless used my words to turn others toward His word, and for that I am eternally thankful and incalculably humbled. The emails and messages I received from some of the articles I posted, describing how the eyes of many had been opened to the dangers of such groups as Jesus Culture or other dangerous fads were some of the most encouraging words I have ever read. I praise God for that. There were other times, though, when my words were just too biting, too distasteful to others, and while God's truth will divide, may it never be that my communication of that truth is the root cause of that division. Sadly, I believe that happened more than once, and more often with people who I knew personally rather than random blog readers. For this I am sincerely sorry. For the record, there have been no recent events or conversations to inspire this post; rather, one simple memory of a friendship lost has motivated my words today. Perhaps that friendship would have been lost regardless as I walked toward Christ and my friend walked further away. I do not know and cannot dwell on that, for this is clearly how God has intended the present circumstances to be and I am content with that. Now all I can do is pray for that friend, that their heart would be irresistibly drawn to Jesus Christ and His Word. One other thing that I can do now is encourage others to be mindful of their words. This means that we ought to be aware not only of what we are saying, but how we are saying it and to whom we are saying it. This honors God. 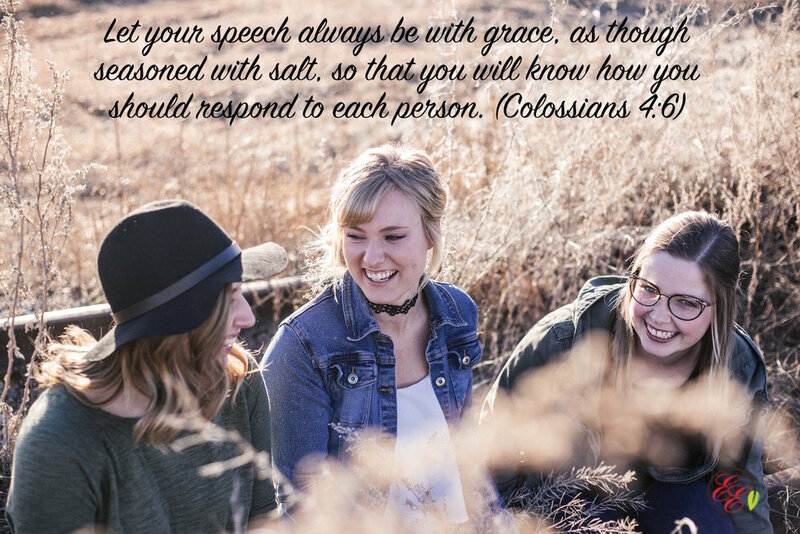 Just as salt not only flavors, but prevents corruption, the Christian's speech should act not only as a blessing to others, but as a purifying influence within the decaying society of the world. S. Lewis Johnson says that the Apostle Paul is here "talking about graciously spiritual speech." What this is not referring to is "pious platitudes" as Dr. Johnson called them, or canned, fake Christian-speak, but rather speech that betrays a life of prayer, study of Scripture, and a reliance on the Holy Spirit. Truth and grace go together, there ought not be one without the other. May this be our prayer: that God would grant us wisdom in our conduct and words and that we would seek to honor Him with both. Unbelievers will be offended by the gospel and the truth that we share; let us ensure, however, that it is not us or our words or our un-Christlike behavior that is the cause of that offense. Thank you for indulging me in this. In truth, the sentiments of this post have long ruminated in my heart and mind, but it seemed appropriate at this time to share it here. It is easy for us, especially in the midst of public controversies, to exercise our "discernment" skills in a harsh and biting manner, but I propose that this many times initiates harm to the cause of Christ, and weakens our own walk of faith and sanctification. Let us press on, then, in the gracious and straightforward example of our Savior, who is our Lord, that we may serve Him well. This post originally appeared at Do Not Be Surprised.